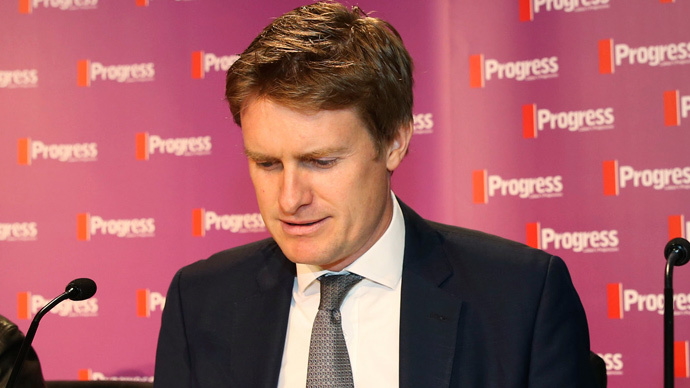 Labour can’t solve inequality in Britain by simply covering it with a “monetary sticking plaster,” Shadow Education Secretary Tristram Hunt says. Hunt’s comments come as it is confirmed he will not run for the role of Labour chief following Ed Miliband’s crushing general election defeat on May 7. He is believed to have withdrawn from the leadership race when it transpired he would be unlikely to secure sufficient backing from MPs in order to stand. Those who remain in the race continue in their bids to lead a party reeling from an electoral defeat, which saw it virtually wiped out in Scotland. In a speech on Wednesday morning, Hunt considered the mistakes Labour has made in recent years. He proposed a new path ahead for the party in its post-Miliband era. “We did not lack for ideas [sic], what we lacked was political courage. In our strategic straitjacket we refused to accept them, to make the argument for them, or to build them into a new sense of mission” he said. Hunt stressed Labour has lost connection with voters across the UK. “We need to win in Scotland. We need to win against UKIP. And we need to win whole swaths of southern England where, early New Labour aside, we have long since lost any pretense at an emotional connection,” he said. “Keir Hardie's party today shows a patronizing distain for the very folk the party is supposed to represent,” he wrote. Hunt’s speech comes a day after Britain was labeled the ‘European capital of inequality’, after a hard-hitting report found the UK to be the most unequal country in the EU. Conducted by progressive think tank the European Foundation for the Improvement of Living and Working Conditions (Eurofound), the study analyzed wages across the EU from 2004 to 2011.